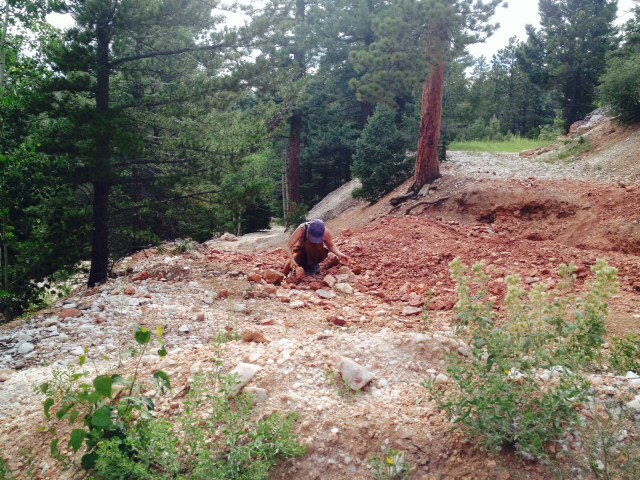 Heidi, collecting samples in Colorado. Early Futures is the artist research studio of Heidi Gustafson. Current projects focus on ochre, iron-based pigment and subtle earth activism. Heidi Gustafson is an artist, pigment worker and ore whisperer based in rainy, volcanic Cascade foothills of northern Washington. 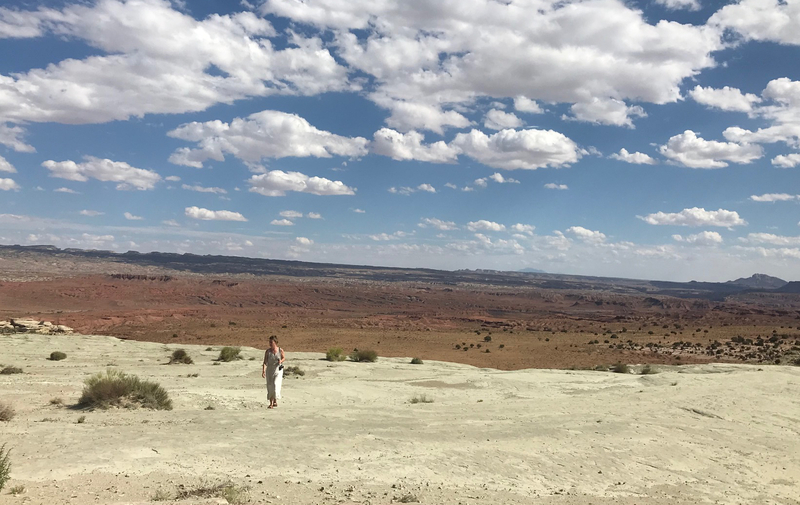 Her intuitive and highly collaborative ochre and iron research projects include work with award-winning scientists, paleontologists, anthropologists, linguists, citizen foragers, artists and friends around the planet. She’s a graduate of the Maryland Institute College of Art, studied forensic art/science at the University of Baltimore and holds an MA in Philosophy and Religion from the California Institute of Integral Studies.